5G networks will see rates of as much as 10 times faster than current 4G networks, while having the capacity to connect trillions of objects. This degree of connectivity will prove to be economic game changers for every nation, supporting widespread adoption of emerging applications such as autonomous vehicles, augmented reality, smart cities, and the Internet of Things (IoT). 5G Networks, currently actively developed in 3GPP, IEEE, ITU-T and other standards organizations, hold the promise of going well beyond increased network bandwidth. 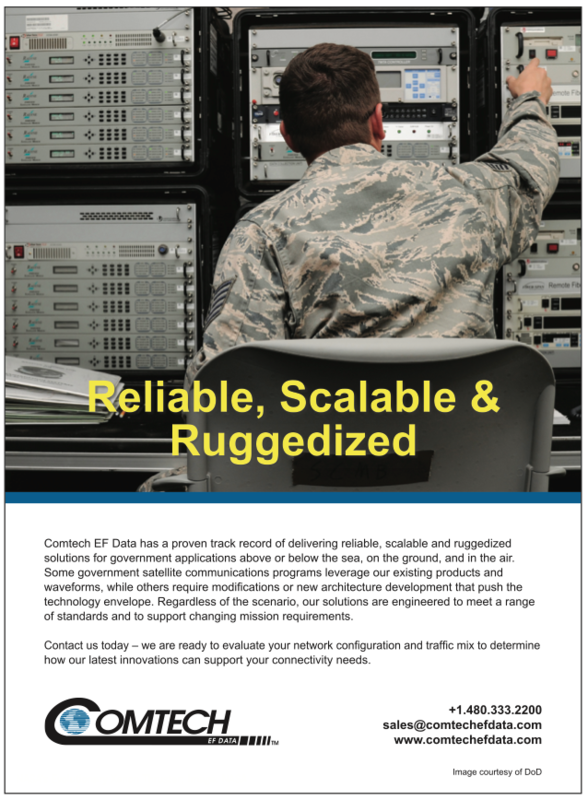 Consumers have an insatiable appetite for “more data now,” so wider pipe might seem to be a key strategic agenda item, warranting the development of a new class of faster, more efficient and reliable communication technologies and infrastructure. However, in reality, “bigger pipe” might be the last priority item driving the need for the new 5G networks. These new 5G services will help to dramatically improve the quality of life, and even beyond quality — they will help to save lives. Mission Critical Communications (MCC) is one of the key elements of the new 5G buildout. Starting with 3GPP Release 13, Mission Critical Communications are delivered as the core network service allowing First Responders — police, firefighters and emergency medical personnel — to replace outdated radio with modern communication capabilities which are readily available to any smartphone user today. In 5G Networks, First Responders will go far beyond basic Push-to-Talk to add Push-to-Video, video sharing, group chat, file sharing, location sharing and much more — all with the proper prioritization of mission critical traffic above anything else. 5G networks will also include cars and “things” into the communication flow from the start — services such as V2X (vehicle to anything) and MTC (Machine Type Communications) are natively supported, which allows users of 5G networks to take full advantage of all the advanced capabilities and create types of solutions not even thought of before as now possible. Other technologies which will be enabled and facilitated by the 5G networks are the so called Augmented Reality (AR) and Virtual Reality (VR), both of which need full support of the faster and more capable network. Think about dealing with a natural disaster, such as a wild fire. Armed with the traditional LMR (Land Mobile Radio), firefighters can talk to each other, but to be able to see the spread and intensity of the fire, they have to rely on external, unconnected tools. Their communications to the rest of the world might also be affected if a nearby cellular tower is jeopardized. Of course, firefighters can deploy planes or even drones for visual assessment of a fire, but all the data coming from those high-tech channels will not reach First Responder teams in real-time. What is needed is to also include satellite communications into the mix. Satellite networks have been around for a long time, but more often than not, they have been used for either cellular traffic backhaul, or for point-to-point communications that was limited strictly to that satellite network. With the advent of the 5G, there is an opportunity to organically design satellite networks to work seamlessly with the terrestrial networks, providing much needed extension of coverage that is so essential for Mission Critical operations, all via seamless design from the outset. This seamless design work is already planned to occur in the 3GPP Release 16, including specific study of items for the integration of satellite communications under the 5G umbrella. What can happen once advanced networking capabilities are deployed — what’s important to note is that, while 5G networks are still in the early design stages, many services, such as MCC, are already available in the LTE networks, as specified in the 3GPP Release 13 and above. 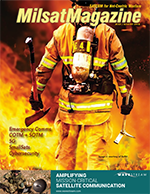 Using MCC over LTE, the communication capabilities of First Responders can already be greatly enhanced. Even if a tower becomes unavailable, a mobile network can be provided via the antenna on any truck, drone, emergency vehicle or even a backpack. Such private LTE networks will support all of the communication capabilities among all First Responders. Firefighters will be able to share a live video of a disaster site among team members, as well as receive videos from drones, surveillance cameras, planes and satellites in real-time. They will also be able to share their location, greatly improving teamwork and team communication. Adding AR into the mix will put yet another twist on the way First Responders communicate. For example, a first responder might wear special goggles or a helmet where all the visuals will be displayed directly on the goggle’s screen, including video, object identification, any type of maps, location of the team members and more, coupled with ability to simply use your eyes as a control interface. Going beyond traditional communication modalities, 5G networks will also facilitate the inclusion of “other participants” into a mission critical exchange. Think about all the sensors which are now becoming part of the communication network — temperature sensors, humidity sensors, wind speed and direction sensors, thermal sensors and many more. Each one of those “things” can become a “life-saving thing,” greatly assisting in an important critical mission — an army of robots would be highly useful in the case of natural disasters or search and rescue operations. 5G networks will change all aspects of human life — from such simple qualities as unconstrained network bandwidth for everyone in this increasingly mobile world, but an even more connected society, to new and profound capabilities for First Responders, allowing them to use advanced tools, such as real-time video, location sharing, and connectivity to the internet in order to be a lot more efficient in their jobs. That will equate to saving more lives as well as connecting and optimizing things never connected before, such as smart cities, farmers’ fields, wild animals or simply truck pelotons. There will not be any area unaffected by the 5G change — and the world will eagerly embrace this new, ever more connected, planet Earth. With a strong technological background, Sagi is a proven leader in product management, marketing, and business development and specializes in product and marketing strategies that balance business, technology, market, and competitive landscape. He has a significant track record in the fields of telecommunications, video over IP, real-time mission critical communications, and Internet of Things (IoT).